Scott Eugene Young (Paw Paw), passed away April 01, 2019 at his home in Conway, Arkansas at the age of 59. Scott was born on August 31, 1959 in Wilmington, North Carolina to Clomer Eugene and Janice Ann (Lucassen) Young. He graduated from Morrilton High School with the help of his big sister Pam. He was a member of the Conway Cowboy Church. He lived in the moment, the most fun filled moments. 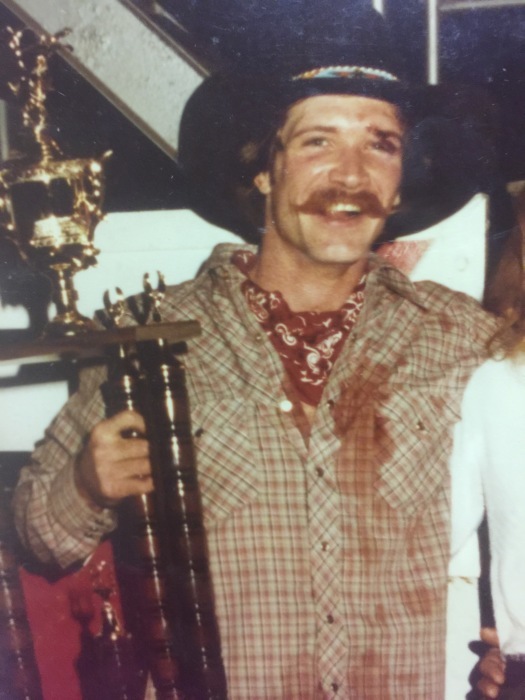 He was a cowboy; a bull rider and bull fighter with multiple rodeo associations where he was very much loved and respected. He had the toughest hands, but the softest touch, best hugs that would break your neck, the coolest dogs, the funniest jokes, and the most contagious laugh. He was the toughest man with the biggest heart. Scott is survived by his grandson, Bryndal Matthew Young of Conway; daughter, Lisa Cheyenne Young of Conway; Mother, Janice Young of Conway; one sister, Pam Springer of Conway; one brother, Tommy Young (Angie) of South Carolina; four nephews, two nieces, one aunt, two cousins, and one old dog Mossy. He is preceded in death by his father, Gene Young, Sister, Lisa Young, and one uncle, Harold Young. The family will receive friends for visitation on Friday, April 5, 2019 from 6:00 - 8:00 at the Conway Cowboy Church 12 AR-36 Conway, Arkansas 72032. A funeral is scheduled for 11:00 AM Saturday, April 6th, 2019 also at the church. Burial will follow at Volman Cemetery in Bigelow, Arkansas. Arrangements are under the care and direction of Vilonia Funeral Home 1134 Main Street Vilonia, AR 72173. Sign the online guestbook at www.viloniafuneralhome.com.